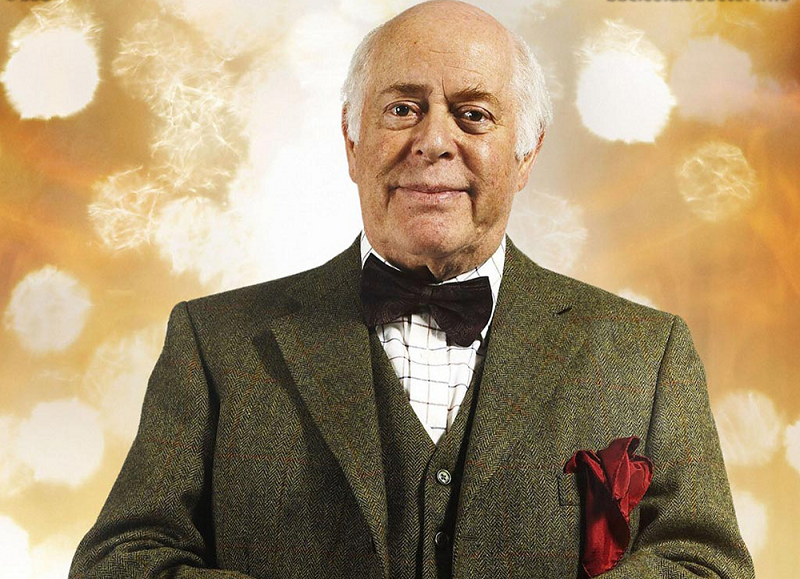 DUAL Doctor Who guest star Clive Swift has died at the age of 82 after a short illness. Swift was best known as the long-suffering Richard Bucket in the British comedy series Keeping Up Appearances. However, for fans of Doctor Who he will be remembered for his appearance in 1985 with Sixth Doctor Colin Baker in Revelation of the Daleks, where he played Jobel, the chief embalmer of Tranquil Repose of Necros. But Swift may be even better remembered for his second Who appearance, where he played Bayldon Copper – a clueless Earth historian and employee aboard the Titanic opposite Tenth Doctor David Tennant and Kylie Minogue in the 2007 Christmas special Voyage of the Damned. Clive Walter Swift was born in Liverpool in 1936. He and elder brother David (also an actor) were educated at Clifton College before Clive when up to study English literature at Cambridge University, eventually becoming a teacher at the Royal Academy of Dramatic Art. His television and film career started in the ’60s and included a filmed production of A Midsummer Night’s Dream for the Royal Shakespeare Company in 1968 with a cast that included Diana Rigg, Helen Mirren and Ian Richardson. 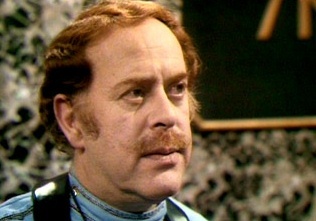 He regularly appeared in the BBC Comedy series Dig This Rhubarb and regular TV roles followed, including playing Major Bagstock in Dombey and Son, Inspector Waugh in Thirty-Minute Theatre and Albert Benbow in Clayhanger. In 1982 he played Bishop Proudie in the BBC adaptation of Anthony Trollope’s Barchester Chronicles. But his breakout role didn’t come until later in life. From 1990-1995 he starred in 42 episodes of the British sitcom Keeping Up Appearances playing Hyacinth Bucket’s long-suffering husband, Richard. Written by Roy Clarke and starring Patricia Routledge, the series has become the BBC’s best-selling series in its long history, seen around the world. Swift was married to novelist Margaret Drabble between 1960 and 1975 and was father to daughter Rebecca, who died in April 2017. He is survived by his two sons and four grandchildren.